The new novel in the New York Times best-selling Dresden Files series. An old bargain has placed Harry in debt to Mab, monarch of the Winter Court of the Sidhe, the Queen of Air and Darkness - and she's calling in her marker. It's a small favor he can't refuse, one that will trap Harry Dresden between a nightmarish foe and an equally deadly ally, and one that will strain his skills-and loyalties-to their very limits. Please note: A few lines of text from one section of the original book are missing from this 2008 recording. This is the best available source audio from the publisher. 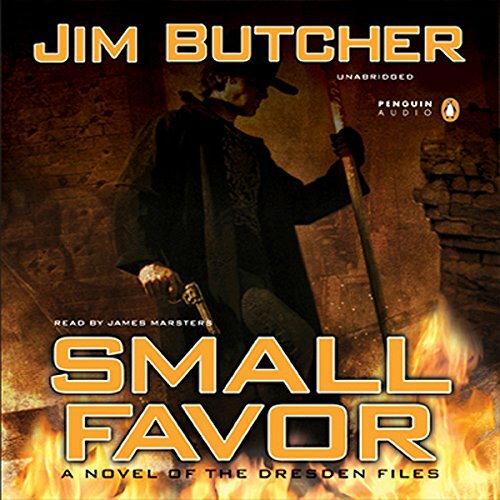 I thoroughly enjoy the Dresden Files and the audiobook experience that James Marsters provides, but Caveat Emptor, the Audible version had a couple minutes of audio missing during the first interaction between Dresden and one of the Denarians. 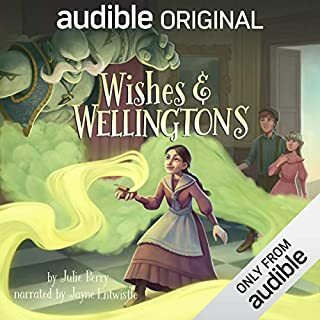 I tried everything I could and the Audible Customer Service, but they could not figure out a means to resolve this as the audio just skips from the demon changing form to Dresden barking out an impudent response to what is obviously close to the end of the conversation. Still worth the listen and still very enjoyable. Didn't completely spoil the fun, just resulted in an lost hour of time working with Customer Service trying to fix the issues. I want more of Harry! I absolutely love this! I kept hoping you would get Jim Butcher's Dresden Files. James Marsters has done a fantastic job! His snarky humor is spot on as Harry. Would love to see more of the Dresden Files on Audible. *pretty please* In the meantime, I will be listening to it again. Someone asked me if I caught the Super Bowl on television. I said no, the new multimillion dollar players don't seemed to be anything like me. When I was young, even famous athletes, like Joe Namath, seemed like people you might encounter at your neighborhood bar once in awhile, famous but one of us mugs. This is why I like the character Harry Dresden. 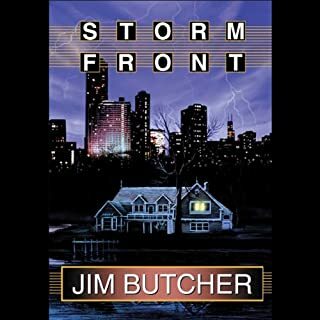 Jim Butcher creates a great character that you'd love to sit down with and have a beer and pizza, just to listen to what he's been up to today. You might run into Harry walking across your street and yell hello while he's out with Mouse. The humanity of the character doesn't dim his powerful, ever growing, powers as a wizard. Butcher does follow an old, 'Sam Spade,' formula, true, but the characters are so good you don't care and find yourself glad of the time it took to read it through. I am hoping that soon all the Harry Dresden books are here at Audible. You really do need to read them from the beginning in order to not only appreciate the plot you're reading now, but to understand the subplot that flows through all the books. But you can still listen to 'Small Favors' by itself, so grab a beer (or your favorite beverage) some pizza, turn out the lights, and get on a case with Harry. James Marsters is a fabulous narrator. I have really enjoyed the way he performs this series (though the way he pronounces some words makes me giggle now and then). I just heard about this series a few weeks ago and have been reading/listening to them in every spare moment since. I was listening to Chapter 13, and right in the middle of a sentence the narration jumps about a page and a half! That's a pretty good chunk that people who don't own the book will miss. I am really glad that I have the ebook, so I was able to pause the narration and get caught up. I have found missing lines in some of the other books, but nothing like this. It's very disappointing. Hopefully there aren't any more issues like this in the narration/editing. Jim Butcher and James Marsters go together like PB&J. As usual the story drags you in and won't let you leave. James Marsters has spoiled me for all other audio narrators. I have listened to a few other books from other favorite authors and found the narrations distracting. The Dresden Files are brought to life through the emotional narration. James Marsters infuses all the nuances of courage, rage, love, regret, hope, loss and frustration that make Harry Dresden so human. A truly amazing raconteur telling an amazingly crafted tale. This is the tenth book of the series and not only is the narration great on Small Favor but as always Dresden Delivers. Do yourself a favor listen or read any Dresden story published. Audible please pick up the first 9! Part of Chapter 13 is missing from the audio. Part of Chapter 13 is missing. Most of a conversation is missing. It throws off the pace of the story. After I had major surgery in 2005 a thoughtful friend gave me a box of books to occupy my recovery at home. Tucked in the box was the first 4 books in the Dresden Files, as the books are known. To this day I still remember my delight at discovering how much fun they were to read, and still are. Harry Dresden is a great twist on the two-bit private eye. Like a typical P.I., he packs a gun and he works for peanuts (or sometimes pizza). He also packs a wizard's staff and gets involved with things Sam Spade never imagined. As the series has evolved Dresden and his world have developed so well and clearly that I know his world as well as my own. DO NOT judge the books by the Sci-Fi channel series, which did reeketh mightily. This is great! My only complaint is that this, Audible's first offering of a Dresden story, is book 10 in the series. First time "readers" would benefit from listening to the stories in order, since each, to varying degrees, does build on the stories before. Hey Audible, PLEASE give us the rest of the stories, unabridged. Thanks for this one. A Good Story Badly Edited. Beware Missing Parts. It's an entertaining story & Marsters does his usual fine job of narrating. But there are approximately 30 lines of dialogue & text missing from chapter 13 (a smidge less than 10 minutes in) that make the section a bit hard to follow. I'm disappointed in the lack of quality control (Again! Get it together Audible!). Now that I've gone and read the missing section, I'll get back to enjoying the story and hope there aren't any more errors. Audible, you need to hire people who can create a decent (iPhone) app. It was fine a few years ago, but now it's pretty glitchy. Less time re-designing logos, more time creating a good user interface, please! The Archive is a very intriguing concept in these novels, so it was great to get a fuller story involving it (/her) - not to mention the return of the Denarians, who were one of the more interesting enemies from a previous novel (I forget which). The entire mythology and epic magnitude of the world that has been created by Butcher is truly amazing. I kind of don't want it to end, but I know it will have to soon. If you like this series, I highly recommend his other works as well - Codex Alera (which unfortunately is not available on Audible) and The Aeronaut's Windlass. Both are very different in style and genre - but equally as entertaining. James Marsters a fantastic narrator for these novels - it would be hard to listen to anyone else now after 10 audiobooks. His voice acting is subtly distinct and he performs the story like no other audiobook actor I have come across. He really helps to convey the strong and varied emotions throughout the books. This series never disappoints. Harry is a wonderful character, always pitting himself against heavy hitters- criminal, magical or demonic - determinedly standing up for those who need his help, regardless of the pain and injuries he suffers in the process. It’s not grim, though, I often find my self chuckling as I am walking along, listening. James Masters performance is outstanding. If you enjoy his voice try some of the plays available on Audible, such as Macbeth or The Importance of Being Earnest - to go from one end of the dramatic spectrum to the other. If you have not listened to any of the Dresden Files before, I do recommend listening to the series in order, otherwise you will miss some of the nuances of relationships which have built up over time, and the maturing of Harry’s character as he learns and grows through tough experiences. As others have mentioned, there are at least two sections of this where the story skips halfway through dialogue. You are still able to work out what has happened, but it is really irritating. There were at least two glitches, including one where the book skipped from the beginning of a conversation to near the end. 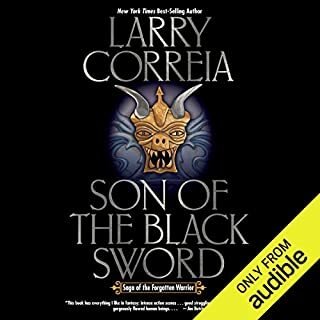 As always Jim Butcher and the beautiful sarcasm of his narrator have created another interesting, funny and witty audio book. 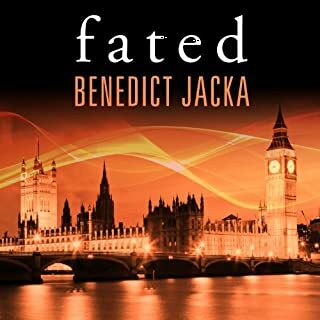 If I am being perfectly honest the storyline is nothing earth shattering, but it is enjoyable, and quite frankly that is what I want in an audio book. What made the experience of listening to Small Favor the most enjoyable? captivating from the start with character that have really depth and a story that's complex but simple to follow at the same time. James masters makes it appear that it's been read by multiple actors. listen and love it you will need to hear more. The chapters came in the wrong order. I believe this was an issue with the two part download. Accidentally ended up hearing major spoilers early on. Otherwise, great book and a great performance from James Marsters. once again loving this series and the reading vby James Marsden .. totally Dresden . So, so, so great. Not only is Small Favor a heck of a rollar coaster to read, the added audio narration by James Masters is superb. Fast paced, exciting, emotional, and breathtaking. 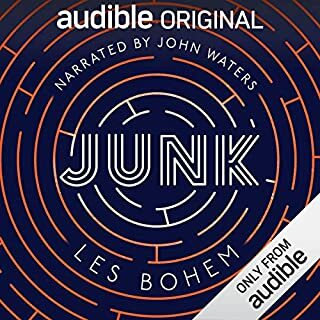 I highly recommend this series in audio. Compelling story, I prefer when Dresden is desperate and on the back foot. This didn't let me down. every time i hear one of these books i dont think it can get any better but it does. 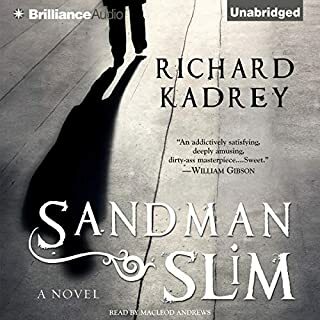 It seems to be a petty complaint that in the midst of what l thought was one of the better of these novels, I was irritated the narrator has changed the voices of some characters. Most particularly Thomas and Kincaid. This is silly but it is like putting a new actor in a TV show. Still a ripper of a story and I'm as addicted as ever. The glitches occur a couple of time and involve small sections of narration. These sections are simply missing from the narration, and evident in the sudden jump from half of one sentence to another that clearly occurs later in the narrative. Whilst the tale is satisfactory, it is interesting to note that listening to these stories has made me very aware of how heavily Butcher relies on both sexual and gender stereotypes. Unfortunately this recording is missing some of chapter 13. Not really noticeable unless you know the book. Sometimes burst into laughter in the middle of the street!